Team Italy catcher Francisco Cervelli is showing some pop this year in MLB. Azzurri catcher Francisco Cervelli (Pittsburgh Pirates) has already belted two home runs and six doubles so far since April 3, 2017. With a career high of seven homers and 17 doubles during his first year with the Bucs in 2015, Cervelli is on pace to set career best stats in home runs and extra-base hits in 2017. Pittsburgh Pirates catcher Francisco Cervelli takes pride in his Italian heritage. Born in Valencia, Venezuela to an Italian father and Venezuelan mother, Cervelli left home at 15 to pursue a life in baseball. He signed with the New York Yankees as an international free agent in 2003. Prior to playing for Team Italy in the 2009 WBC, Cervelli was not yet an established Major Leaguer as he had only played in three games for the 2008 Yankees. Despite the odds, he managed to guide Team Italy’s pitching staff to an impressive 6-2 victory over host Canada, thereby eliminating the Canadians at Toronto’s Rogers Centre. Your browser does not support iframes. Cervelli spent an additional six years in New York in a limited backup capacity before being traded on November 12, 2014 to Pittsburgh, where he is adored as the Bucs’ full-time catcher. The Pirates recognized Cervelli before their game against the Atlanta Braves on April 8, 2017, when the first 20,000 fans in attendance at PNC Park received Francisco Cervelli “That’s Amore” Singing Bobbleheads. The bobblehead featured Cervelli in his patented Love Doctor robe with rose petals at his feet singing “That’s Amore”. 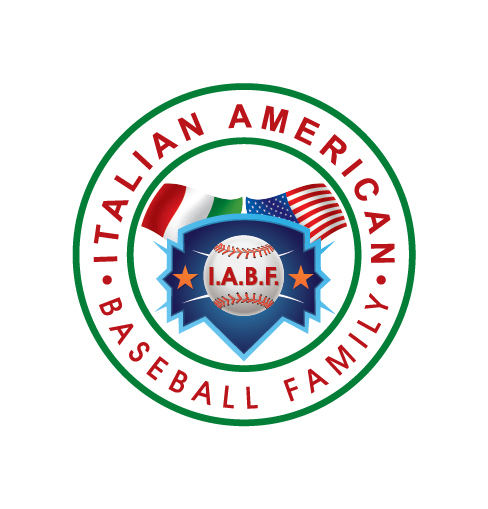 Catching all four games for Team Italy in the 2017 WBC, Francisco proved to be an offensive weapon as well with two of his four hits being for extra-bases. Having suffered a minor Grade 1 strain of his left oblique after the 2017 WBC and during spring training, Team Italy DH Drew Butera (Kansas City Royals) has played in only eight games and has had 16 at-bats to date. Following in father Sal Butera’s footsteps, Drew aspired to make it professionally in MLB. He was selected by the Toronto Blue Jays in the 48th round of the 2002 MLB draft, but instead chose to play college ball at the University of Central Florida. A fifth-round pick by the Mets in the 2005 MLB draft, Butera listened to Andrea Bocelli and Luciano Pavarotti in the clubhouse before games as a Mets’ Minor Leaguer. After being named 2007 Florida State League All-Star and sent to play Double-A ball, Butera was traded to Minnesota and subsequently added to the Twins 40-man roster in 2008. Known best for his excellent defensive prowess and as a pitcher’s catcher calling games behind the plate, catcher Drew Butera kept Twins’ lefty Francisco Liriano focused on every pitch which resulted in a no-hitter against the Chicago White Sox on May 3, 2011. Your browser does not support iframes. Three years later while playing for the Los Angeles Dodgers on May 25, 2014, Butera caught Josh Beckett’s no-hitter against the Philadelphia Phillies and became only the fifth catcher in Major League Baseball history to catch a no-hitter in both leagues. Drew was traded to the LA Angels on December 9, 2014 and again on May 15, 2015 to the Kansas City Royals. Butera once again made the history book box scores when he caught the game-winning strike from Royals closer Wade Davis to clinch the 2015 World Series Championship for Kansas City. Drew has been a solid contributor to Team Italy since 2013, when he was a big hit for the Azzurri in the WBC. Delivering a two-run home run that helped defeat Mexico and a two-run double that buried Canada, Drew was instrumental in each of Team Italy’s victories to earn the Azzurri the right to advance with Team USA to the second round of play. 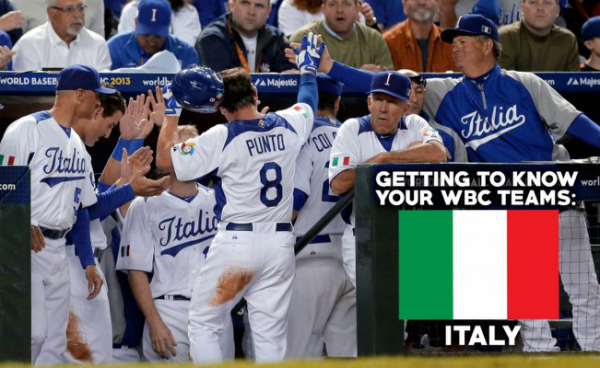 Butera continued his power hitting ways with two home runs in the 2017 WBC while serving as the Team Italy DH. Another player nursing an injury with a hamstring strain and a bruised hand is Team Italy center fielder Brandon Nimmo (New York Mets). The Azzurri leadoff hitter is coming off the 10-day DL soon to make his 2017 debut for the Mets. The spiritually driven Brandon Nimmo, selected by the Mets in the first-round of the 2011 MLB draft, has never given up the faith in playing professional baseball at the highest level. The 23-year-old spends time every day praying and reading the bible. It is an essential part of his preparation for the game he loves and his approach to all aspects of his life. The Wyoming native had a breakout year in 2016 when he was named a Sterling Minor League Organizational Co-Player of the Year after finishing second in the Pacific Coast League in hitting with a .352 clip while playing for Triple-A Las Vegas. It was the second time Nimmo was awarded a Sterling after winning his first one in 2014 when he played for the St. Lucie Mets. He made his MLB debut for the Mets on June 26, 2016. Prior to injuring his hamstring as the Team Italy center fielder and leadoff hitter in the 2017 WBC, Nimmo demonstrated some power at the plate when he slammed a homer to the deepest part of the field off Venezuela reliever Bruce Rondon. The multi-talented Nimmo is undoubtedly one of MLB’s brightest young stars.